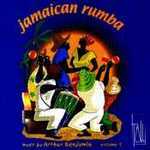 Jamaican rumba : music by Arthur Benjamin. Vol. 1 / Ian Munro, piano. Piano : Australian anthology, fifth to eighth grades. Three new fantasies : for piano solo / Arthur Benjamin. Contents note: Dance at dawn ; March ; Drifting.